At Embedded Systems Conference (ESC) 2011 in San Jose, CA, Microchip Technology Inc announced its next-generation, open-source integrated development environment — the MPLAB® X IDE — with cross-platform support for Linux, Mac OS® and Windows® operating systems. MPLAB X (beta 6) was successfully demonstrated to Elektor and Circuit Cellar editors Jan Buiting and CJ Abate respectively. A host of high-performance features have been added to the new IDE, including the ability to manage multiple projects and tools with simultaneous debugging, an advanced editor, visual call graphs and code completion. And, MPLAB X is unique in the industry with its support for an entire portfolio of 8, 16 and 32-bit microcontrollers — including all 800+ PIC® microcontrollers, dsPIC® digital signal controllers and memory devices. The designers of today’s leading-edge embedded applications are demanding an IDE that provides a solid foundation for high-performance, user-friendly and flexible development. They also want it to be compatible with a wide range of development tools for a broad and reliable microcontroller portfolio with easy migration, to decrease the learning curve and protect their tool and code investments. 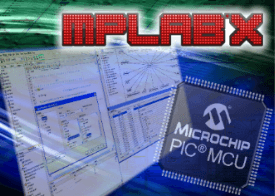 MPLAB X provides a single, unified graphical interface for Microchip and third-party tools, including the MPLAB ICD 3, PICkit™ 3 and MPLAB REAL ICE™ debugger/programmers. MPLAB X is based on the Oracle Sponsored open-source NetBeans platform, which has an active user community that can contribute a wide range of enhancements and third-party plug-ins. In fact, Microchip customers can take advantage of a host of free NetBeans software components and plug-ins that exist today. Additionally, the NetBeans platform allows MPLAB X users to customize the IDE to suit their individual development needs. The MPLAB X IDE can be explored as of today via a free download from the first url below. Microchip invites your feedback via the MPLAB X forum (second link below). Engineering time is crucial, so Microchip is continuing to support the current MPLAB 8 environment to help ensure that there are no disruptions on active projects. Note: The Microchip name and logo, MPLAB, PIC, and dsPIC are registered trademarks of Microchip Technology Inc. in the USA and other countries. 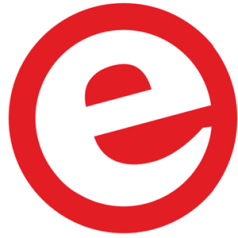 Oracle is a registered trademark of Oracle and/or its affiliates. All other trademarks mentioned herein are the property of their respective companies.